1 OWNER!! 6.0L Motor!! Silverado!! Automatic!! Non Smoker's Truck!! Dual Power Seats!! Dual Batteries!! Trailer tow package!! Extended Cab!! This is a very solid truck!! Fully serviced, fully checked out, road tested, and even Missouri safety inspected. This truck has a few miles, but all have highway driven and set up to pull a camper. This truck has all the power, dual power seats, power windows, power locks, power mirrors, tilt wheel, cruise control, delay wipers, key-less entry, new tires, new brakes, tube step bars, dual batteries, receiver hitch, folding rear seat, extended cab door, nice deluxe cloth seats, even vinyl floor board for easy clean up. 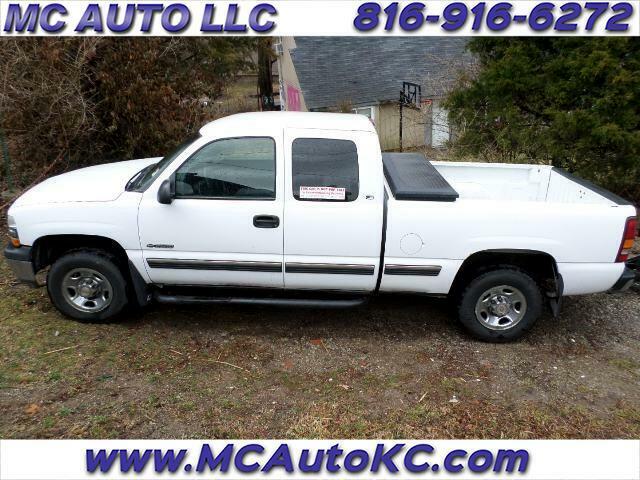 This truck is very dependable and extremely reliable even though there are a few miles on it. We use it here at the store for all our truck needs. Call if you need any other information or want to set up an appointment. CALL 816-916-6272 OR 816-665-7371 or visit mcautokc.com ..